You might’ve breezed through your shopping for compression leggings and a tank top that hugs all the right curves, but that perfect pair of running shoes continue to evade you. Hardly the most straightforward of style pursuits, the sheer amount of choices available and the tech jargon attached to the most promising ones can make the process more challenging than going for the run itself. Determining the right pair of shoes can make all the difference in your performance. Just like how you wouldn’t take a Lamborghini onto a treacherous dirt track, you don’t want to be caught on the treadmill with a pair of off-roading shoes. The list goes on with other factors like the fit and getting the right support for your foot type. Here’s everything you need to know about making your running shoes go the extra mile for you. Here’s where every single gram counts. 50g might not feel like much difference, but we guarantee it’ll take its toll by the end of a long run. If you want to improve on speed, consider lighter shoes that’ll also be easier on every stride you take. 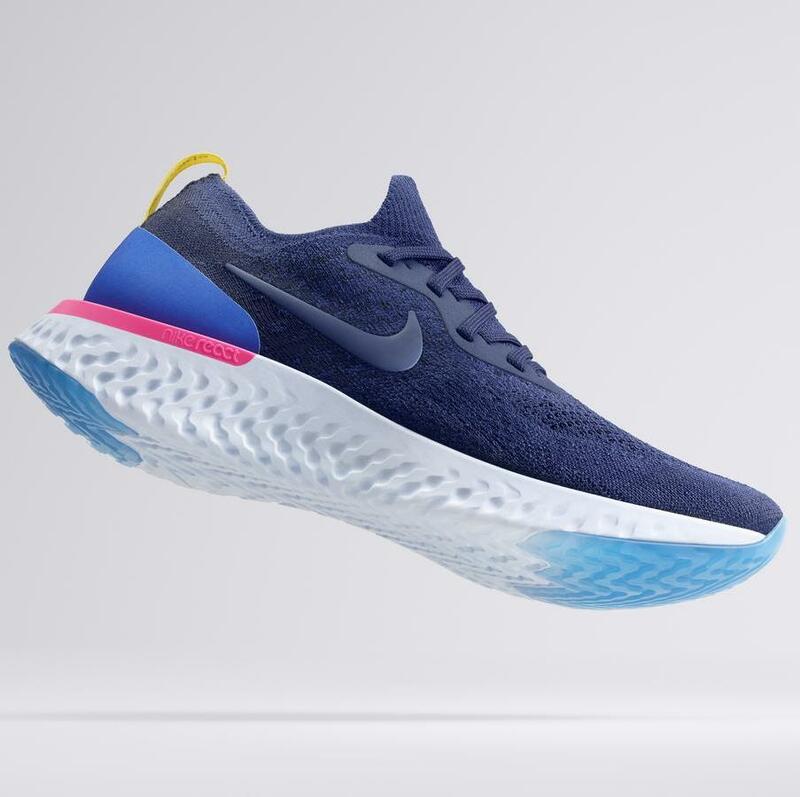 Nike’s Flyknit shoes — and most recently spawned on the Epic React Flyknits — are specifically designed for a “barefoot” feel, enveloping your feet in a sock-like cocoon for a natural running experience without adding unnecessary fabric weight. Don’t assume that they’ll be the same size as your stilettos. Your feet swell when running, so you’ll need slightly more room than usual. When uncertain, knitted uppers such as Nike’s above-mentioned Flyknits are slightly elastic to give you a bit of leeway. Running’s a great activity for keeping fit but it’s also a high impact sport that can do long-term damage to your joints with the wrong shoes. Cushioning is so imperative for runners that athletic brands all over the world have clamoured to concoct the perfect mix of responsiveness and feel. Adidas has the Ultraboost, Asics has the Gel technology and Nike recently launched the React foam (pictured). All technologically enhanced, the latter was made after studying athletes’ movements extensively and tested over more than 2,000 hours by basketball players. The result is the highest energy return of any running shoes — pretty much the closest you’ll get to running on clouds. Technique is always an important factor in acing a sport, and running isn’t spared. 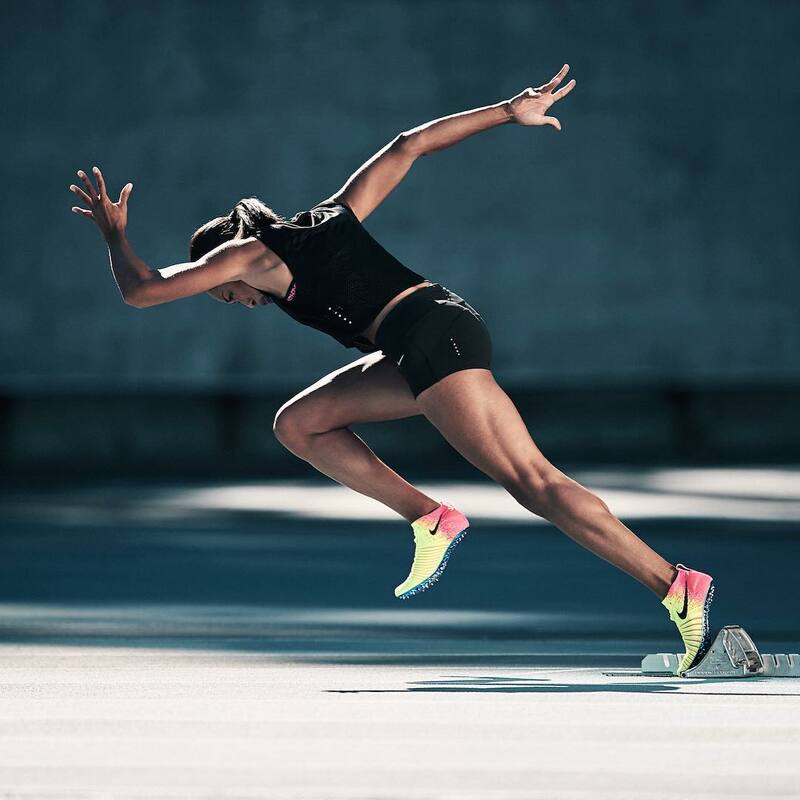 You’re unlikely to pay attention if you’re a once-a-week sprinter at your local park, but frequent runners should take note of factors such as pronation, the angle that your foot hits the ground. Runners whose feet overpronate, like those with flat feet, will do better in stability-controlled shoes, while underpronators should opt for cushioned shoes. The two types of shoes provide support in different parts and at varying degrees. One of the biggest mistakes people make is to use the same pair of trainers everywhere. Deciding where you’ll be spending the majority of your runs will make it easier to determine the type you need. 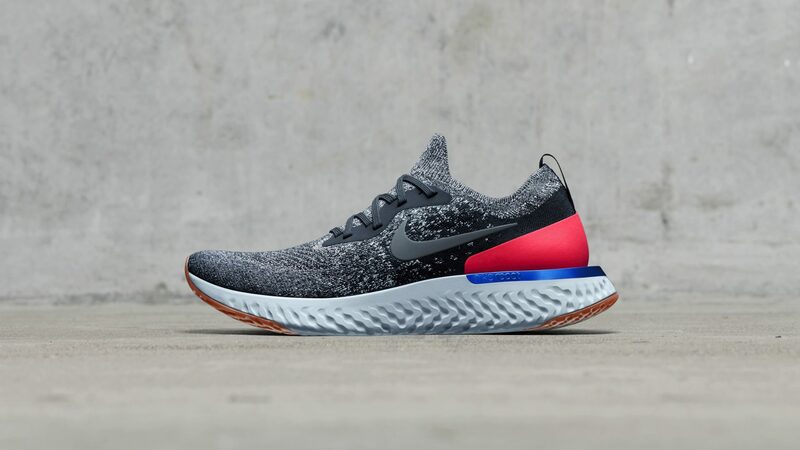 State-of-the-art road shoes such as the Epic React Flyknits are perfect for treadmill and tarmac enthusiasts as they are designed for smooth surfaces and will support your foot’s natural movement. The uneven terrain of stones and gravel will require special off-roading shoes, which trade cushioning for grip, and provides safety for those travelling the path less taken.